We're checking out colleges in the northeast this week, and thought it would be fun to play a set for our east coast friends and relatives. We'll be playing at a cozy little place in Cambridge, MA, a stone's throw from so much history and erudition. 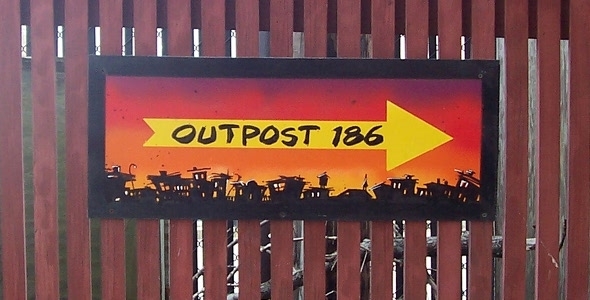 It's called Outpost 186, 186 1/2 Hampshire St, Cambridge, MA 02139. We may well be joined by some Boston based folk luminaries, so if you are nearby, come on down. Music starts at around 8pm. It's a relatively small place, so reservations recommended. Previous article:Come, April 4, to our CD release!